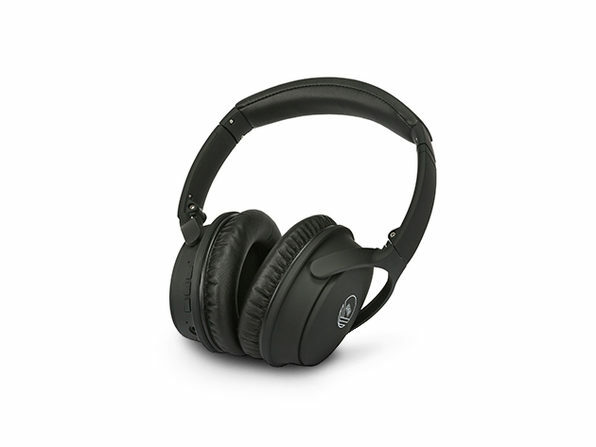 $36.99 $39.95 $49.99 Price Drop! 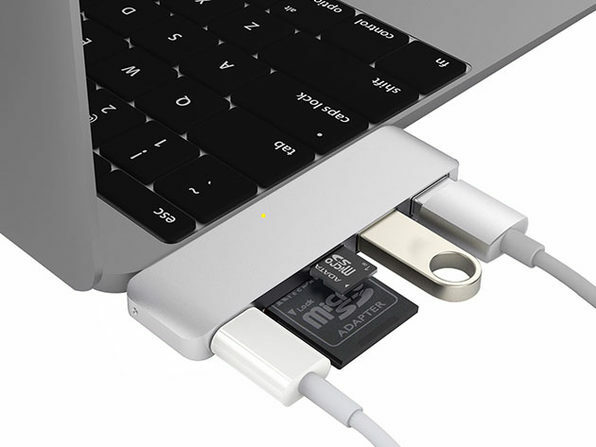 As you may have noticed, Apple decided to jump well ahead of the curve on the new MacBook by removing several ports and slimming down the design. 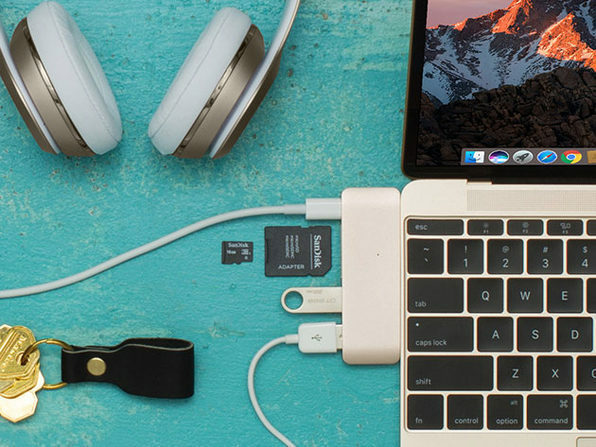 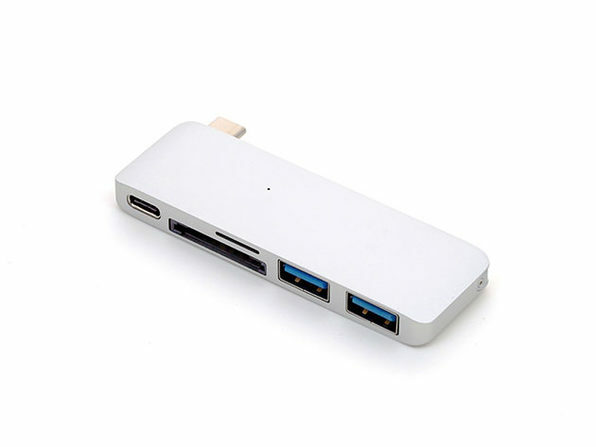 Thankfully, however, there's the HyperDrive USB Type-C 5-in-1 Hub to plug into that unusual looking USB Type-C port and expand your MacBook's ports with an SDXC, a microSDXC, 2 USB 3.0, and an extra USB Type-C port, all on a single, simple bar. 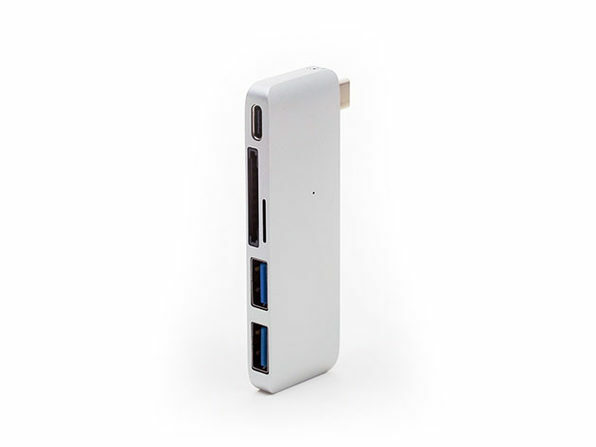 You can even charge your MacBook right through the hub, so you can multitask like a pro.